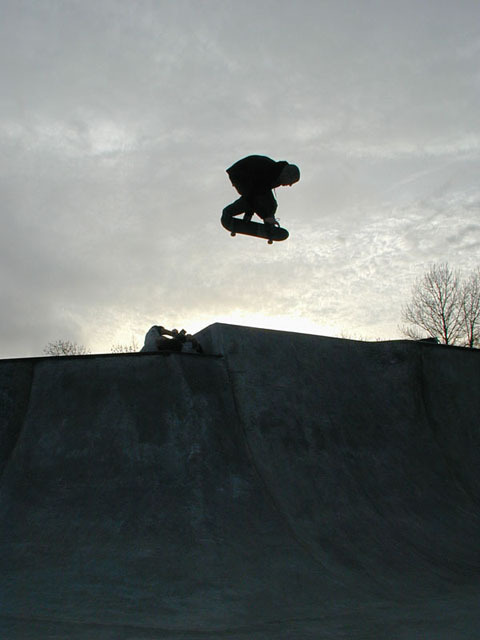 The skate park in Aumsville, Oregon was built in memory of Brian Haney, who died in a car accident on his way to go skating in Salem in 1997. This is a cool park with vert wall type banks, and the park is made for flow so that it could be called a one big half pipe. The shallow banks are 3 feet and the deep bank/walls are 9 feet. Address Main St and 13th, Aumsville, OR 97325 Pads Required?